The bearings feature a steel backing onto which is sintered a porous bronze interlayer impregnated and overlaid with a bearing layer composed with solid lubricant and fillers.The proprietary formulation and processing of the bearing layer provides mechanical strength.The bearings comply with the European Union directive on the elimination of hazardous materials in the construction of passenger cars and light trucks and the directive regulation concerning the elimination of hazardous materials in electrical and electronic equipment. 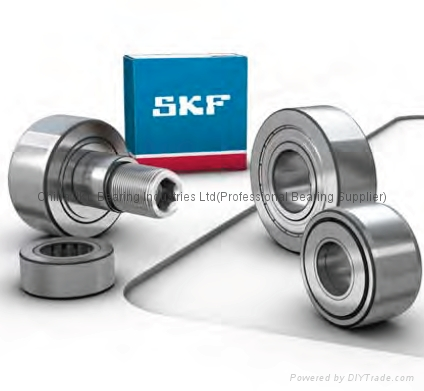 The bearings have been successfully validated in automotive applications such as clutches, pulley dampers,belt tensioners and dual mass flywheels.They are also recommended for industrial applications,requiring dry wear and low friction performance under high-frequency,low-amplitude oscillating conditions. Manufactured to specific user requirements,the material is available in a variety of configurations including cylindrical and flanged bearings,strip,modified standard components,thrust washers,flanged washers,half bearings,flat components,deep-drawn parts,pressings and stampings. The profit making companies are being strengthened by providing greater autonomy and the loss making companies are being considered for revival.